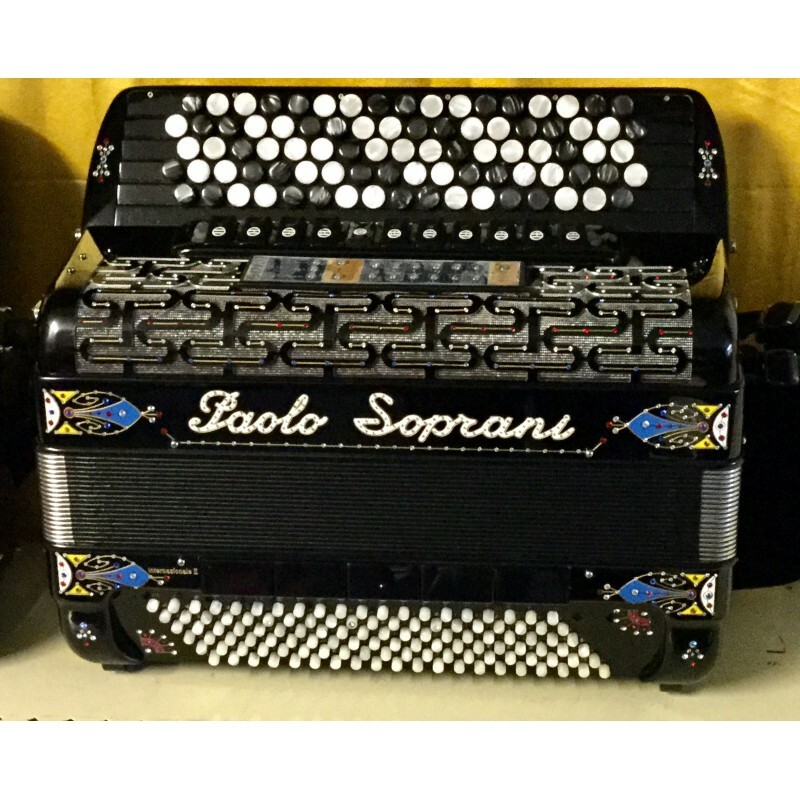 Beautiful Paolo Soprani 5 row C scale Scottish Musette chromatic accordion with 4 sets of quality Italian reeds. 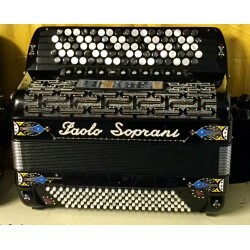 It has the high build quality expected from an Italian hand made accordion and has a superb Powerful sound. This model is an 87 button 120 bass full size accordion. This is the 4 voice Scottish musette model LMMM reed configuration.